T.M. 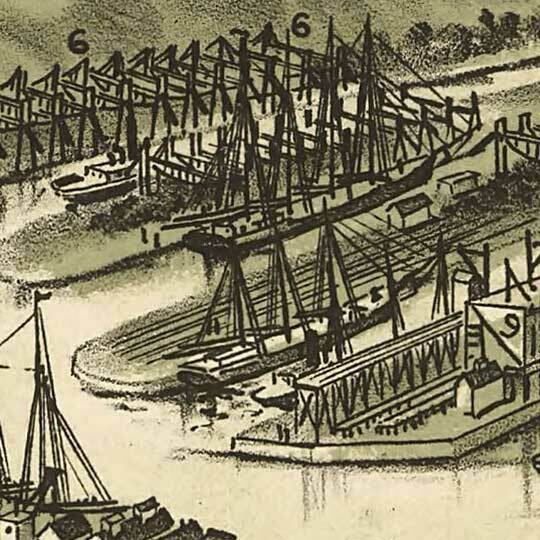 Fowler's birdseye map of Ashtabula Harbor, Ohio in 1896. 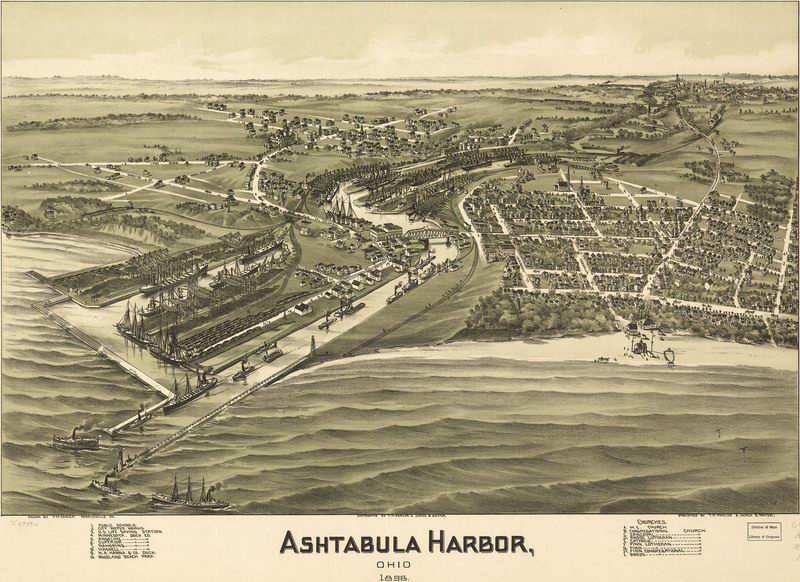 Ashtabula, Ohio [gmap] takes its name from the nearby Ashtabula River; which, in some American Indian language, is purported to mean ”River of Many Fish”. Of course this was before industrial waste had started catching nearby rivers on fire, so who knows if it's still true. The Ashtabula river bridge, which may or may not be the one depicted back towards the horizon on this image, was the site of one of the largest rail disasters (measured by loss of life) in the Country's history. The ”Ashtabula Horror”, as it was called, killed 92 people. According to legend, the designer of the bridge killed himself in dispair. Glad you and your family liked it, Stacie.